I’ve spent the last couple of weekends at our cabin on Figueroa Mountain replacing some windows. 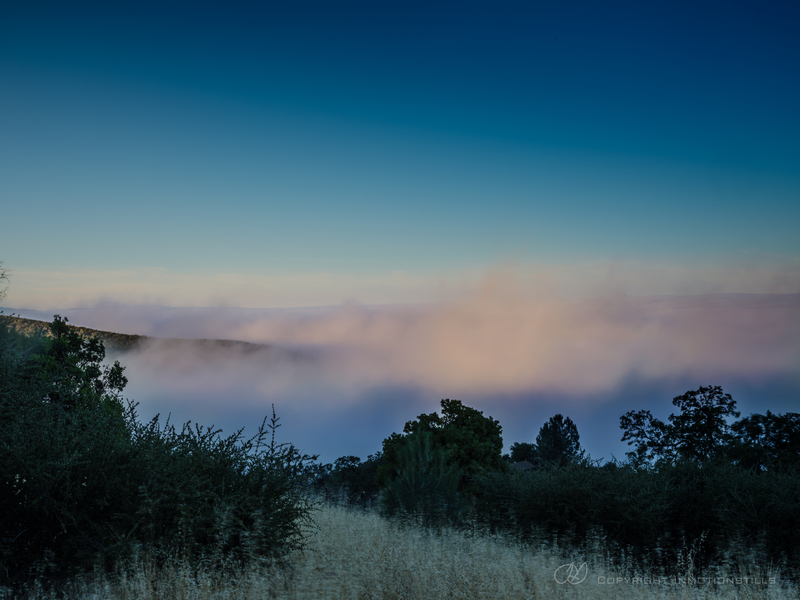 This past weekend a condition started to develop that I haven’t seen for a while where the marine layer blew in covering the Santa Ynez valley but the ceiling of the layer remained below the level of the cabin. 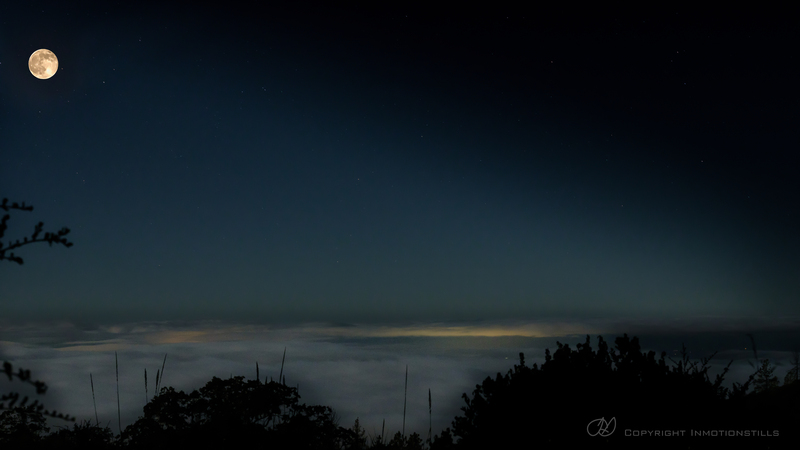 With the presence of the full moon I was hoping for an opportunity to photograph the moonlit clouds from above. Prior to the evening, I shot a few long exposure photographs of the clouds blowing in. 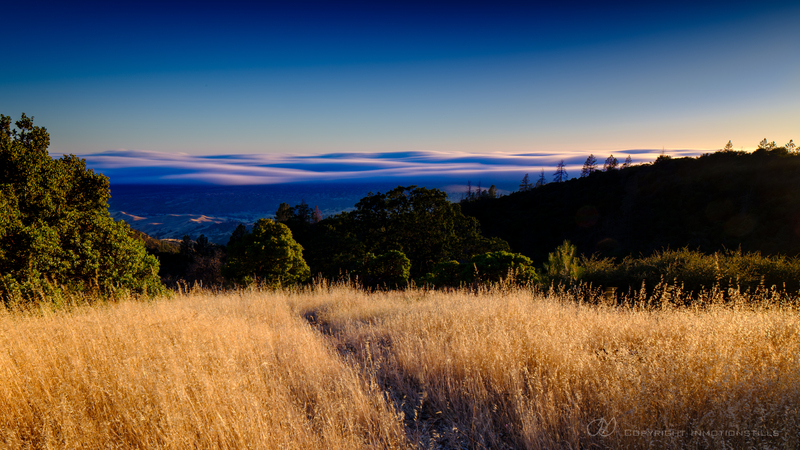 The long exposure transformed the bumpy puffy clouds into a waves of smooth flowing clouds. With the golden hour light the effect is beautiful. Unfortunately I was too tired after working all day to venture far from the cabin after the moonrise to get the elevation vantage point I was envisioning but I did set up just outside the cabin by our sunset bench for a moonlit photograph. The fourth photo in this collection is at sunrise the following morning. Please feel free to leave your comments or questions below or just let me know your favorites.